"A purveyor to the Russian Imperial Court". A common thing to see on the bottles of Alcohols is Royal endorsements. 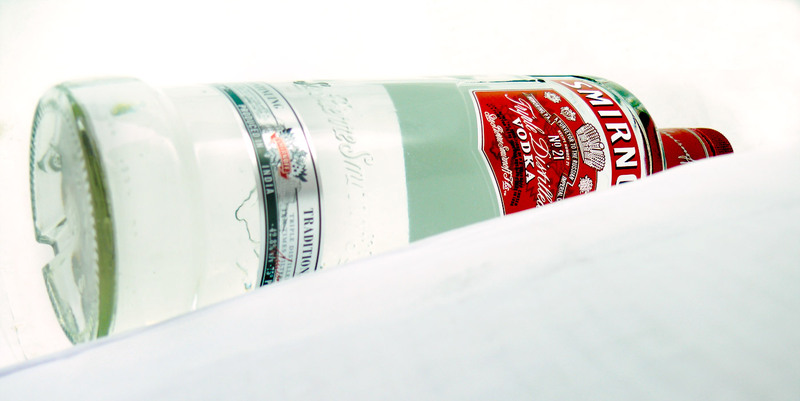 Bottles of whiskies, just like this bottle of Smirnoff Vodka boast about being patronised by the royal courts. Now either I have not noticed it or it is not there but I have never seen anything else - say cheese or milk or clothes associating themselves with Royalty.